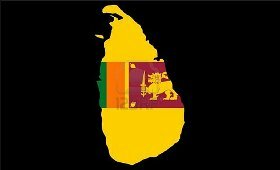 Sri Lanka's Cabinet on Tuesday unanimously decided to withdraw two gazette notifications which would enable women to buy alcohol and work in shops selling or manufacturing alcohol beverages, and extending the business hours of liquor shops across the island, a minister said. Minister of Ports and Shipping, Mahinda Samarasinghe, said the decision was reached when the Cabinet met for its weekly meeting, Xinhua news agency reported. The decision comes after President Maithripala Sirisena said last week that he would call for a reversal of the two gazette notifications issued by the Finance Ministry. The President said he had only found out about the move from the newspapers. Sri Lanka's Finance Ministry last week lifted the ban on selling alcohol to women and prohibiting women from working in places where alcohol is manufactured or sold, for the first time in nearly 60 years. The Finance Ministry later also announced that it would also allow liquor shops to stay open for business till 11 at night. Currently all liquor establishments in the island have to close at 10 p.m.